Also on the Squadron was Pilot Officer Henry Maudslay. He was to become a Squadron Leader and would take part in the famous dambuster mission - his aircraft crashed over the Sorpe damn, with no survivors. His name can be seen in the Waddington Raid book. 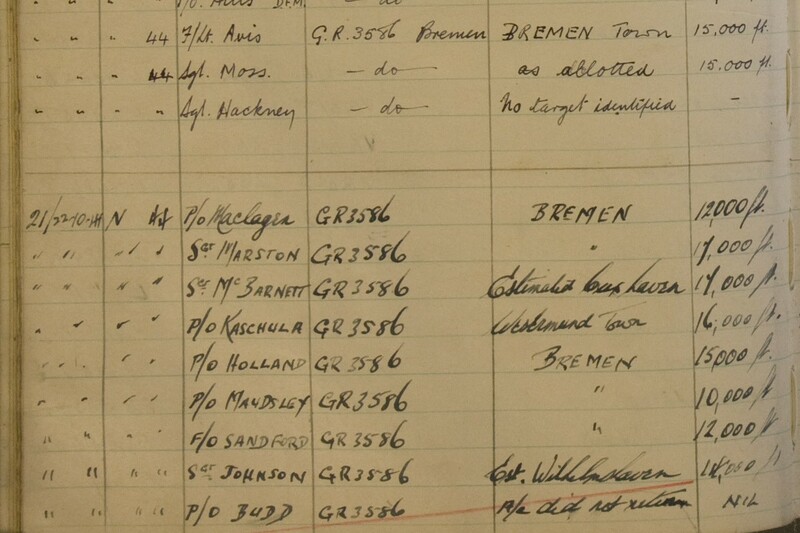 Following sorties to bomb the Krups factory at Essen on 10th October, and the chemical factory at Huls on the 12th, Billy’s crew took off on 21st October at 6.35pm as part of a sortie totalling 153 aircraft, their target Bremen. 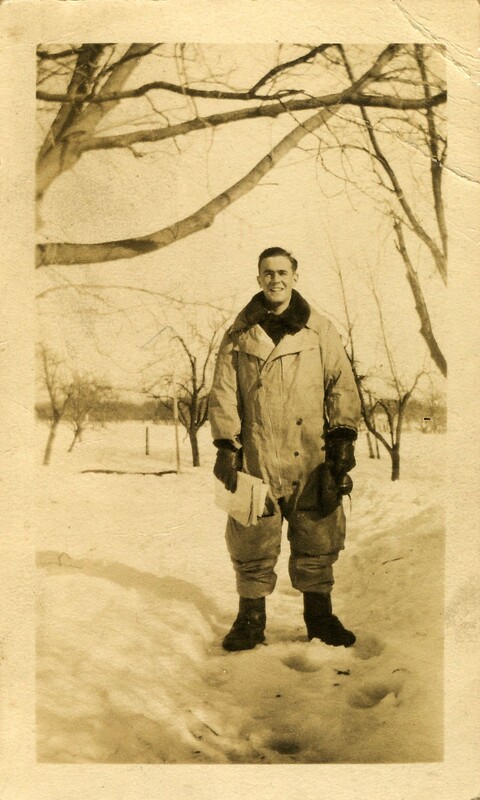 The entry in the Squadron Operations Record Book is typically brief in detailing an all too frequent occurrence: P/O Budd failed to return from his operation. P/O Budd took off at 18.35 hours and thereafter nothing was heard from this aircraft and the whole crew, as under, were posted “missing”. 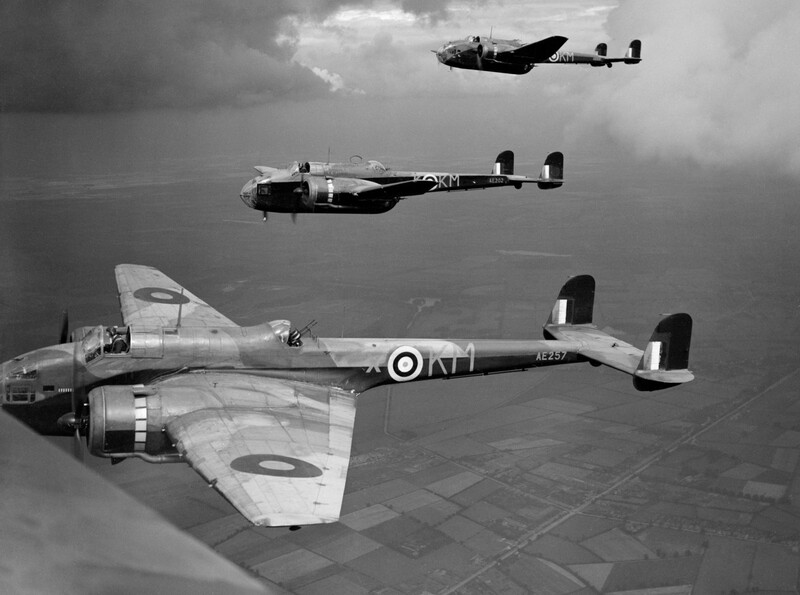 Although the exact fate of AE257 is not known, it is believed that the aircraft was shot down over the North Sea. Billy’s body was initially buried at Wilhelmshaven (which would have been along either the approach path to or exit route from the bombing site at Bremen) having been washed ashore. Following confimration of his identity by his mother after the war, Billy was eventually buried at Sage War Cemetery 30 miles West of Bremen. Sgt Hughes is buried at Becklingen War Cemetery, some 70 miles East of Bremen. Sgt’s Schafheitlin and Austin are commemorated at the RAF memorial at Runnymede (near Windsor, England), where those without graves are remembered. With 2 identified bodies, and 2 more either unidentified (and in graves marked ‘unknown’) or never found, it remains the most likely scenario at Billy and his crew were indeed shot down over the North Sea. The Waddington Station Raid book records Billy’s flight and scores it through with a red pen, denoting another crew lost in action. Billy’s mother Lil, by this time 48 years of age, never visited the grave, but as a child in the early 1970s I remember being taken to the Sage War Cemetery by my father (who was serving in Germany with the Army at the time) to take a photograph for her.